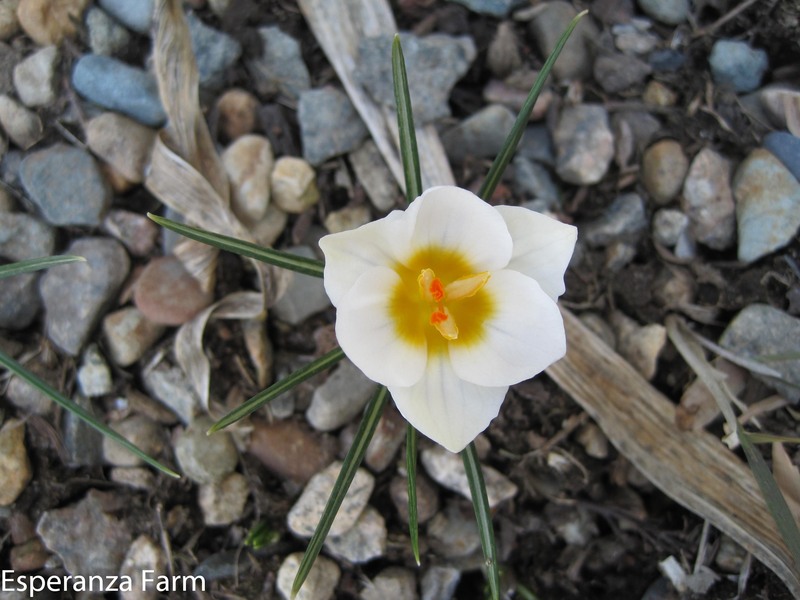 It is trying to snow right now, but a few crocus by the foundation did bloom yesterday. I didn’t get a chance to take their photo, so this one from two years ago (and some twenty days earlier on the calendar) will be a stand in. ‘Snow Bunting’ is an appropriate name.